Pregnancy is a common cause of varicose veins, which are weak, dilated veins that are filled with blood. Varicose veins occur when the valves in the veins of the lower legs no longer function properly, causing blood to flow backward and pool. 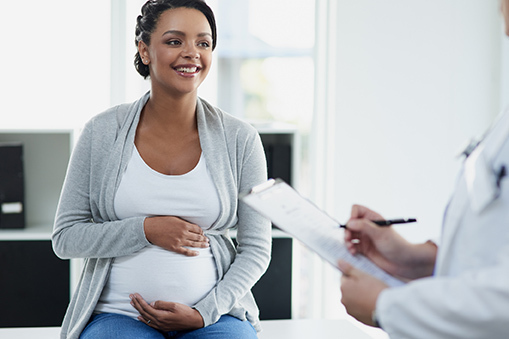 There are three reasons varicose veins develop during pregnancy, according to Anil Kumar, MD, MRCP, FACC, RPVI, RPhS, Medical Director of the Vein Center at Yavapai Regional Medical Center (YRMC). The first reason is linked to the hormones women’s bodies produce during pregnancy. Just as its name indicates, one of the jobs of the hormone relaxin is to prepare the body for childbirth by relaxing the ligaments. Increased blood volume – which happens during pregnancy – is the second reason veins may become damaged during pregnancy. Varicose veins can develop at any time during pregnancy or at the time of delivery if there is vein injury. Some new moms develop varicose veins after the baby is born due to bed rest or because it takes time to return to their regular exercise routines. And, with each subsequent pregnancy, varicose veins tend to worsen, especially for women with family histories of vein disease. After the baby is born, a mom’s blood also becomes hyper-coagulated, which increases the risk for blood clots. This is called deep vein thrombosis (DVT). According to Dr. Kumar, the good news is that women can prevent varicose veins during pregnancy. From the start of pregnancy, a woman can guard against varicose veins by staying hydrated, taking walks every hour or two during the day, and staying active – unless she is on bed rest. The best tool to prevent varicose veins during pregnancy? Wear compression stockings, Dr. Kumar said. “I recommend compression stockings from the beginning of pregnancy until three to six months after delivery,” he said. Compression stockings gently squeeze the legs, boosting circulation, improving blood flow, preventing or reducing swelling and helping the vein valves pump blood to the heart more efficiently. Legs feel better and there is a much smaller risk of blood clots forming. Compression stockings fit tightly around the ankles and loosen as they move up the legs. They’re available in two sizes suitable for moms-to-be: 15-20 mmHg, for minor swelling, and 20-30 mmHg, for more significant swelling and severe pain. Knee-high, thigh-high and full-length stockings (with built-in belly support panels that also help with back pain) are available, as are maternity leggings and tights, open-toed and footless styles. They also come in many cool colors and patterns. The Vein Center provides free fittings as well as information on the use and care of compression stockings. The Vein Center at YRMC is located at 3262 North Windsong Drive in Prescott Valley. For more information, call 928.759.5890 or visit www.YRMC.org.